While they might not fit too easily underneath a Christmas tree, American Spas can make the perfect holiday gift. What other present provides its recipients with such relaxation and wellness benefits — and from the privacy of your own home every day of the year? 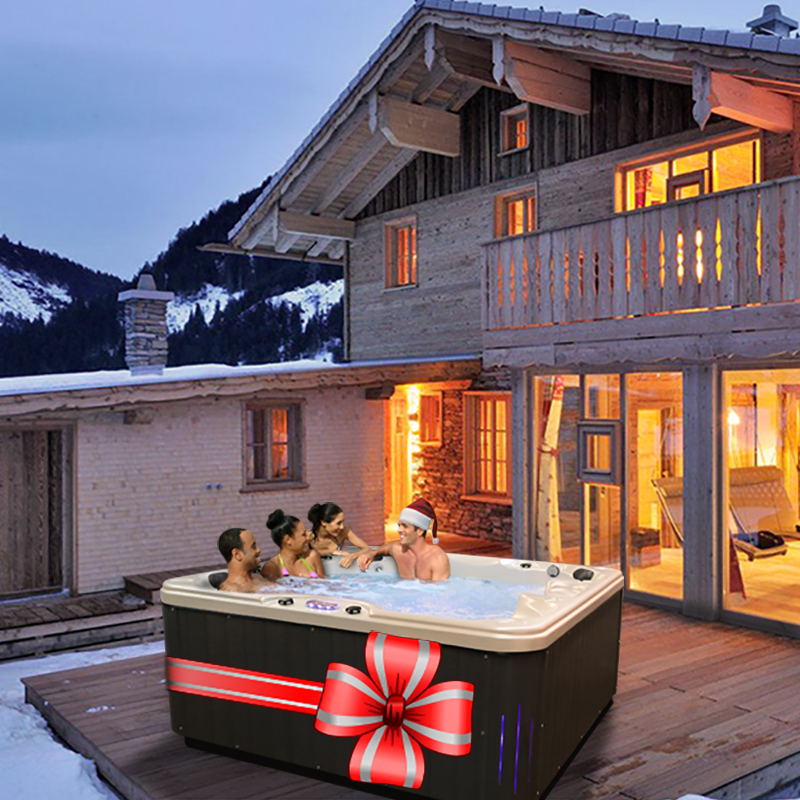 Just in time for the holidays, the Association of Pool & Spa Professionals (APSP) has released a list of the top five reasons to buy a hot tub for that special person on your gift list. We have it for you here, leave it to the pros to know the best reasons why. 1. Hot tubs are affordable. Portable hot tubs are more affordable than ever before, due to efficient manufacturing practices and competing brands. American spas offers the most luxurious options at the best price points year round. With Free Shipping and Hydro-covers included they are among the best attainable spas for everyone. 4. Hot tubs are easy to maintain and are energy efficient. Newer technology has allowed the hot tub owner to keep water clean and clear with a couple of minutes of weekly maintenance. Now models are being produced that will meet new APSP energy efficiency standards and to meet consumers’ demands for greener products. There you have it, If you haven’t joined the American spas family yet, look forward to our Super Holiday Deals this season. We are making spas even more affordable and luxurious than ever before. check in our online store to see the latest pricing and Follow US on Social Media to learn about upcoming offers and deals.